We offer a hands-on design and consultation service. 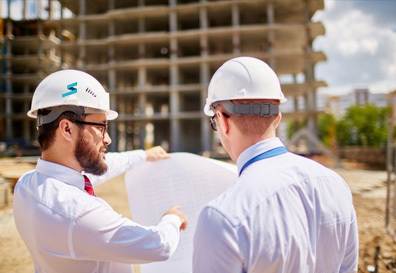 We collaborate closely with project managers and design teams and our customers have confidence that the very best solution will be developed, given the project requirements. There is one comment we hear over and over again – and that is that we are more accessible and responsive than our competitors. We’re not a global player (though we may be in the future!) and every customer is important to us; we want your business. So if you’re tired of a non-responsive service, with little added value in terms of design collaboration – then try working with us and see what a difference a great service from committed professionals can make. Steel Formed Sections guarantees expert design and a cost-effective approach. Our highly skilled CAD team have years of experience and produce first class, detailed designs. The breadth of our design and manufacturing experience, aligned with our comprehensive product portfolio, enables us to facilitate a wide variety of project requirements, in a seamless, cost-effective manner. Our design team works with clients to guide them through the key considerations for each project. And we are well aware of the commercial pressures our customers are operating under – in terms of time, cost and quality requirements. Please do Contact us to discuss your project requirements.